As the Whitman spring semester wraps up this week, we thought now would be a great time to catch up and binge all the Whitman Admission vlogs from the past few months! We mixed things up quite a bit this semester. We started our bucket list series, shared videos from the major events on campus, and attempted to capture as much of the Whitman experience as possible. We hope you enjoy the vlogs below! The vlog returns after winter break! In this video, Maya and Andrew toured Whitman’s many on-campus academic resources. Watch as they visit the Language Learning Center, the Center for Reading and Writing (COWS), and meet with Rebecca Frost, the director of the Academic Resource Center! Learn more about Whitman’s academic resources here. 51 Questions with Kendall Dunovant! In this vlog, we ran into Kendall Dunovant ’18 and followed her on a tour of Jewett Hall. We think she’s pretty cool, and you will, too. Check out her answers to our 51 essential Whittie questions and learn more about some of the many ways students spend their time at Whitman. Discover more student life info here! In true vlog style, Maya and Andrew bring you to Whitman’s Power & Privilege Symposium–a two-day event consisting of a keynote speaker, a closing concert, and various workshops on issues of power, privilege, and inequality within our society. Since Maya and Andrew are graduating soon, they decided to create a bucket list of all the Whitman activities and traditions they want to accomplish before they leave. In this first episode of the series, watch as they play frisbee and attempt to slackline! In April, Whitman held the 19th Annual Undergraduate Conference, an event that brings together students from every academic area of the college to present their research and creative projects to the community. Join Maya and Andrew as they vlog about the experience! In this vlog, Maya and Andrew tackle another item on their bucket list, attending Whitman’s annual Renaissance Faire. They experience juggling, mazes, old-timey music, and so much more! Check out their time below. 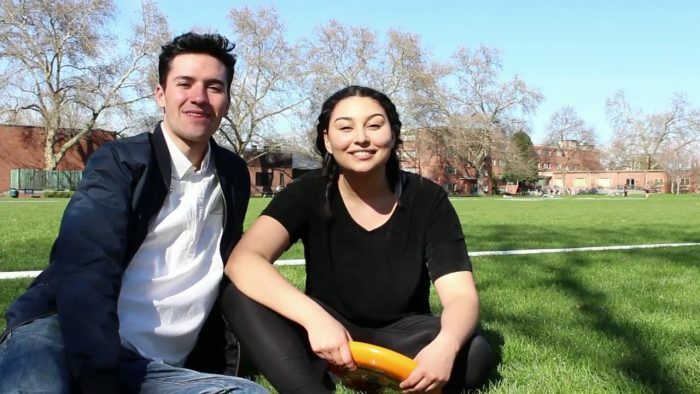 In the final vlog of the semester, Maya and Andrew say their goodbyes by finishing one last thing on their bucket list that is perhaps the most quintessential Whitman tradition of all, they grab some burritos and head to the wheat fields for sunset! Watch all the vlogs and other videos about Whitman here! This entry was posted in Academic Resources, School Year, Spring, Student Life, summer, Walla Walla and tagged 51 Questions, Burritos, Kendall Dunovant, Power and Privilege, Renaissance Faire, Senior Bucket List, Undergraduate Conference, Vlog, wheat fields.